Following my ‘Nibbles’ post just now, here’s what I’ve quickly put together to satisfy my craving for picky food. 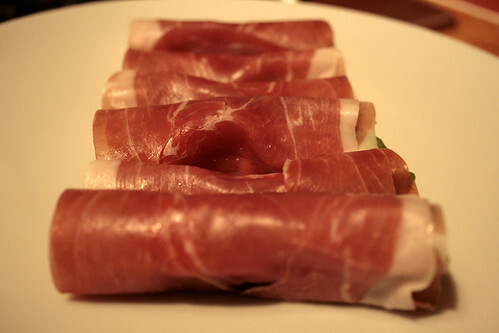 Simply peeled slices of avocado wrapped in smoky, salty, parma ham and nothing more. I think these would make very elegant dinner party canapes, but for now, they’re all mine, mine, MINE!